Story: The Little King is the ruler of an unnamed European kingdom. He spends his day ruling the country and playing pranks on his people. Background notes: The Little King was a, for the most part, pantomime strip poking fun at the European kingdoms. The king himself rarely spoke, but people around him sometimes said a few lines like when his car was ready for him or they had to set the scene for the reader to understand the punch line. Later in the comic books where the stories became longer than one page, he started saying something. 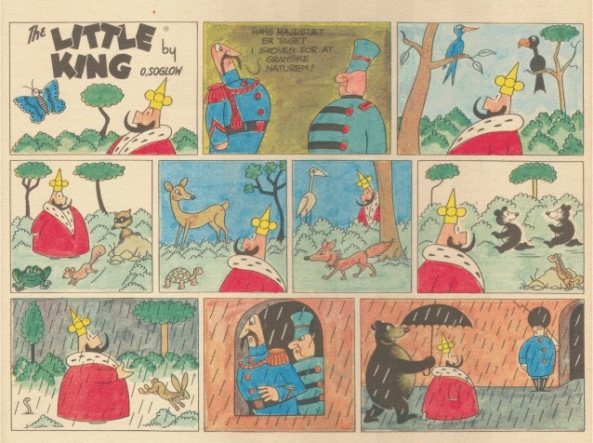 The Little King started in 1931 as a recurring figure in a strip Soglow was doing in the New Yorker. 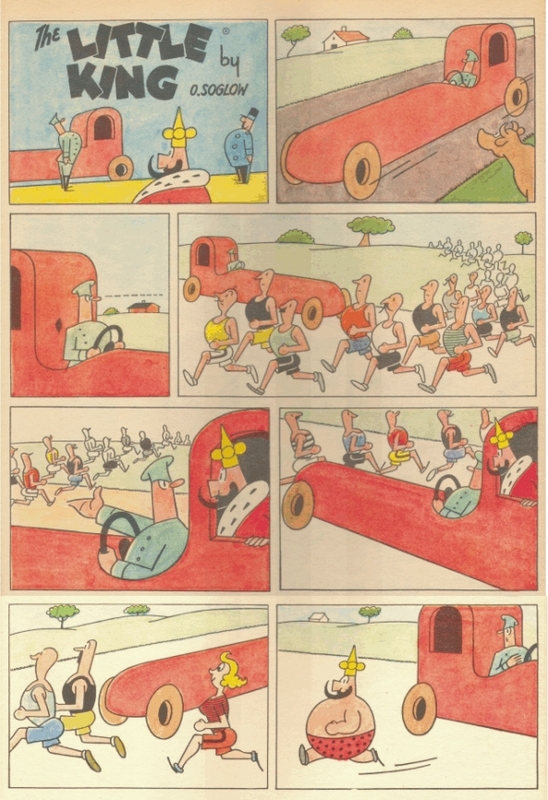 William Hearst, the founder of King Features Syndicate, saw the series and wanted it in his company, but due to contractual obligations to the New Yorker, he had to wait a few years. The Little king started at Kings Feature on September 9, 1934, where it stayed until the series ended in 1975 when Soglow died. The series transferred to other medias. Most of these were obvious like comic books (e.g. Four Color Comics), merchandizing and cartoons. The Little King starred in 10 cartoons from 1933 to 1934 from van Beuren Studios, and in 1936 he appeared in a cartoon with Betty Boop called Betty Boop and The Little King from Paramount Studios, where he uttered a few words. One of the less obvious transfers was Little King Cigarettes produced by The Rum and Maple Tobacco Corporation in March 1953. The Little King had become quite successful and The Rum and Maple Tobacco Corporation wanted to use this to sell cigarettes. The product was introduced at the tobacco convention in Atlantic City, where Soglow drew caricatures of the visitors at the Rum and Maple booth. The Little King on the cigarette packages was short lived. 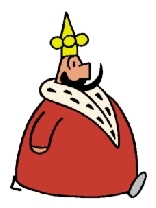 In 1966 the Little King won the Rueben Award, an award from the National Cartoonist Society, which Soglow co-founded. Peter og Ping: Similar type of humor.